The outstanding Dr. Jesus Luján Irastorza is a specialist in High Level Gynecology and Obstetrics , is an expert in Biology of Human Reproduction, Endocrinology of Reproduction and Infertility, Repeat Abortion and pregnancy control among others. His extensive experience of more than 20 years has placed him in various prestigious institutions such as the Bité Médica Hospital where he receives patients with diseases that require treatments related to Gynecology and Obstetrics and Biology of Human Reproduction. He trained as a Surgeon at the Autonomous University of Guadalajara (UAG), later to perform his specialty in Gynecology and Obstetrics at the Children's Hospital of the State of Sonora endorsed by the National Autonomous University of Mexico (UNAM), has a specialty in Biology of Human Reproduction in the Juárez Hospital of Mexico , Gynecological Laparoscopy of the La Raza IMSS Medical Center, and is a Master in Assisted Reproduction and Molecular Genetics graduated from Procrea, in Lugano, Switzerland . 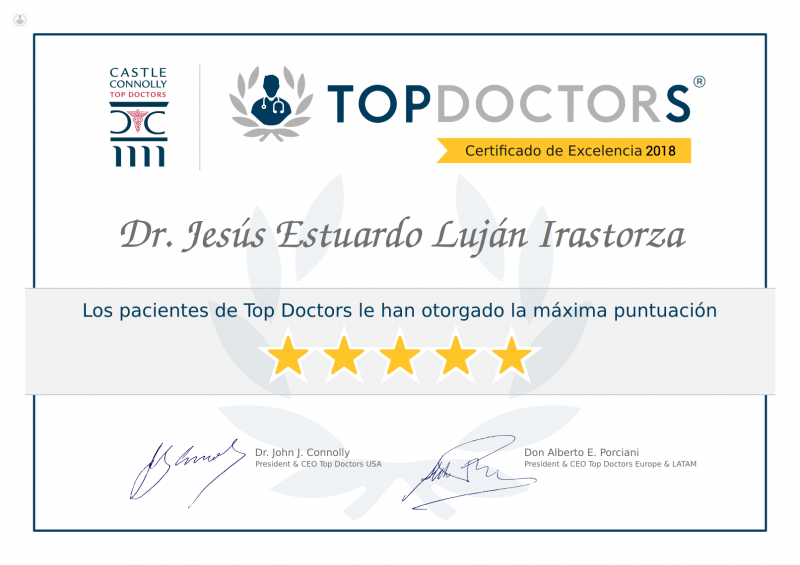 Thanks to this the DR. Luján Irastorza is recognized as one of the best specialists in Gynecology and Obstetrics in Álvaro Obregón, CDMX. Wednesday 24th of April: 15:00h.